As a busy mum when you are heading off to the office, the last thing you need to be doing is to wake up and rummage around a wardrobe full of clothes but find nothing to wear. What you actually need is an office capsule wardrobe. That way you will save time and money and have the essential office capsule wardrobe. Schedule some time in the diary to sort your current wardrobe out. This is likely to take a couple of hours. Try everything on ideally in front of a full length mirror. At the end of this exercise you should have a wardrobe of clothes which are wearable. And with luck you may have re discovered the odd item in your wardrobe. Try on any garments that you have not worn in the last six months. Any that need mending, cleaning or need other attention, put to one side. This way you should be able to lay your hands on a smart pair of jeans or trousers with a nice jumper or top to fit a “smart/casual” occasion and a jumper and jeans for “around the house”. This will save time and potentially finding you are buying more of the same stuff over and over again. 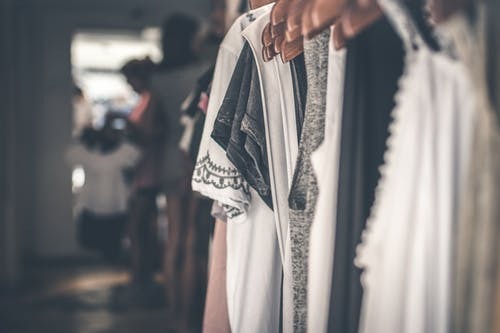 Clothes that require attention keep to one side and schedule time along with a deadline in your diary to get these back into your mainstream wardrobe. Clothes which you don’t like any more, decide whether these can be shortened or restyled in someway to make them more wearable again. Sometimes just the simple act of changing buttons on a cardigan or coat can change the look of a garment completely. If not be strict with yourself and throw them out or better still donate to a charity shop. The following guide also takes you through what to avoid and what to aim for, so you can say goodbye to embarrassing fashion faux pas as well as some ideas as how to group outfits together.